The following overview is excerpted from: Ketcham, R.A. (2005a) Computational methods for quantitative analysis of three-dimensional features in geological specimens. Geosphere, 1, 32-41. A “blob” is a contiguous set of voxels (3D pixels) that meets some user-defined criteria. Three steps are involved in Blob3D data processing. In the first step, Segment, a set of criteria are defined by the user that defines which voxels belong to the material of interest. The second step, Separate, distinguishes contiguous sets of segmented voxels (i.e. blobs) and allows the operator to divide interconnected or touching objects into individual objects. The third step, Extract, performs measurements on separated objects, such as size, shape, orientation, and contact relationships. Another feature in the Extract module allows the user to input sample coordinates (e.g. strike and dip) and the program calculates geographic coordinates for mineral grains or other features of interest in a sample. Please provide your name and email below to get the Blob3D download link. We will not spam your inbox, but we will inform you of Blob3D updates. You can opt out at any time. 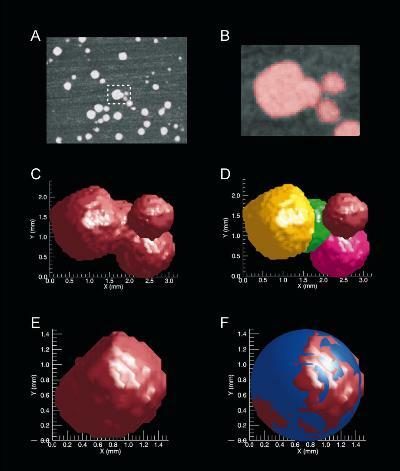 Example of BLOB3D processing for cluster of garnet porphyroblasts. Because garnet is the only porphyroblast, it can be segmented using a simple grayscale threshold (A, B). When inspected in two dimensions (B) and three dimensions (C) it is apparent that the cluster consists of four individual crystals. Separation was accomplished (D) using erosion-dilation operations. To estimate the extended volume and center of nucleation for lower-right crystal (E), a sphere primitive was fit to outer surface (F) by excluding from consideration points in contact with other garnet (from Ketcham, 2005a). Example of typical processing operations in Separate module. Part A shows a sample of computed tomography (CT) data of a cluster of spheres; field of view is 70 mm. A three-dimensional volume searching algorighm finds all voxels in contact, up to limits imposed by computer memory (B); faces truncated by the algorithm are marked in red. “Stair steps” on upper and lower portions of spheres are caused by 3:1 voxel aspect ratio (inter-slice vs. inter-pixel spacing). An erosion/dilation operator successfully separates most of the spheres (C). Those contacting truncated faces have their processing postponed (D), allowing interior spheres to be processed (from Ketcham, 2005a). Altman, S.J., Aminzadeh, B., Balhoff, M.T., Bennett, P.C., Bryant, S.L., Cardenas, M.B., Chaudhary, K., Cygan, R.T., Deng, W., Dewers, T., DiCarlo, D.A., Eichhubl, P., Hesse, M. A., Huh, C., Matteo, E.N., Mehmani, Y., Tenney, C.M., and Yoon, H. (2014) Chemical and hydrodynamic mechanisms for long-term geological carbon storage. Journal of Physical Chemistry C, 118, 15103-15113. Alvarez-Barreto, J.F., Shreve, M.C., Deangelis, P.L., and Sikavitsas, V.I. (2007) Preparation of a functionally flexible, three-dimensional, biomimetic poly(L-lactic acid) scaffold with improved cell adhesion. Tissue Engineering, 13, 1205-1217. Álvarez-Murga, M., J. P. Perrillat, Y. Le Godec, F. Bergame, J. Philippe, A. King, N. Guignot, M. Mezouar, and J. L. Hodeau. (2017) Development of synchrotron X-ray micro-tomography under extreme conditions of pressure and temperature. Journal of synchrotron radiation, 24, 240-247. Andronico, D., Corsaro, R.A., Cristaldi, A., and Polacci, M. (2008) Characterizing high energy explosive eruptions at Stromboli volcano using multidisciplinary data: an example from the 9 January 2005 explosion. Journal of Volcanology and Geothermal Research, 176, 541-550. Astolfo, A., Arfelli, F., Schültke, E., James, S., Mancini, L., and Menk, R.-H. (2013) A detailed study of gold-nanoparticle loaded cells using X-ray based techniques for cell-tracking applications with single-cell sensitivity. Nanoscale, 5, 3337-3345. Bai, L., Baker, D.R., and Hill, R.J. (2010) Permeability of vesicular Stromboli basaltic glass: Lattice Boltzmann simultations and laboratory measurements. Journal of Geophysical Research, 115, 16. Bai, L., Baker, D.R., Polacci, M., and Hill, R.J. (2011) In-situ degassing study on crystal-bearing Stromboli basaltic magmas: Implications for Stromboli explosions. Geophysical Research Letters, 38, 5. Bai, L., Baker, D. R., & Rivers, M. (2008) Experimental study of bubble growth in Stromboli basalt melts at 1 atm. Earth and Planetary Science Letters, 267, 533-547. Baker, D.R., Polacci, M., and LaRue, A. (2011) A study on the reproducibility of counting vesicles in volcanic rocks. Geosphere, 7, 70-78. Bardenhagen, S. G., Luo, H., Armstrong, R. W., & Lu, H. (2012) Detailed characterization of PBX morphology for mesoscale simulations. In AIP Conference Proceedings,1426, 637-640. Balen, D., and Petrinec, Z. (2011) Contrasting tourmaline types from peraluminous granites: a case study from Moslavaca Gora (Croatia). Mineralogy and Petrology, 102, 117-134. Balen, D., & Petrinec, Z. (2009) Tourmaline nodule distribution, shape and internal structure: 3D study of granite texture revealed by serial sectioning tomography. In 9th Workshop on Alpine Geological Studie. Benedix, G.K., Ketcham, R.A., McCoy, T.J., and Wilson, L. (2003) Vesiculation in ordinary chondrites due to impact melting: the “PAT” 91501 answers. LPSC XXXIV (Abstract #1947; CD-ROM). Benedix, G.K., Bland, P.A., Friedrich, J.M., Mittlefehldt, D.W., Sanborn, M.E., Yin, Q.-Z., Greenwood, R.C., Franchi, I.A., Bevan, A.W.R., Towner, M.C., Perrotta, G.C., and Mertzman, S.A. (2017) Bunburra Rockhole: Exploring the geology of a new differentiated asteroid. Geochimica et Cosmochimica Acta, 208, 145-159. Berger, A., Herwegh, M., Schwarz, J.-O., and Putlitz, B. (2011) Quantitative analysis of crystal/grain sizes and their distributions in 2D and 3D. Journal of Structural Geology, 33, 1751-1763. Bernard, K., and van Wyk de Vries, B. (2017) Volcanic avalanche fault zone with pseudotachylite and gouge in French Massif Central. Ceramics International, 38, 5859-5870. Bernasconi, A., Diella, V., Marinoni, N., Pavese, A., and Francescon, F. (2012) Influence of composition on some industrially relevant properties of traditional sanitary-ware glaze. Journal of Volcanology and Geothermal Research, 347, 112-135. Bidgoli, T.S., Tyrrell, J.P., Möller, A., Walker, J.D., and Stockli, D.F. (2018) Conodont thermochronology of exhumed footwalls of low-angle normal faults: a pilot study in the Mormon Mountains, Tule Springs Hills, and Beaver Dam Mountains, southeastern Nevada and southwestern Utah. Chemical Geology, 495, 1-17. Bolles, R. C., & Bobick, A. F. (1989) Exploiting temporal coherence in scene analysis for autonomous navigation. Robotics and Automation, IEEE, 990-996. Bobick, A. F., & Bolles, R. C. (1989) Representation space: An approach to the integration of visual information. Computer Vision and Pattern Recognition, 1989. Proceedings CVPR’89., 492-499. Brabant, L., Vlassenbroeck, J., De Witte, Y., Cnudde, V., Boone, M. N., Dewanckele, J., & Van Hoorebeke, L. (2011) Three-dimensional analysis of high-resolution X-ray computed tomography data with Morpho+. Microscopy and Microanalysis, 17, 252-263. Brun, F., Mancini, L., Kasae, P., Favretto, S., Dreossi, D., & Tromba, G. (2010) Pore3D: A software library for quantitative analysis of porous media. Nuclear Instruments and Methods in Physics Research Section A: Accelerators, Spectrometers, Detectors and Associated Equipment, 615, 326-332. Brusseau, M.L., Peng, S., Schnaar, G., and Costanza-Robinson, M.S. (2006) Relationships among air-water interfacial area, capillary pressure, and water saturation for a sandy porous medium. Water Resources Research, 42, W03501. Bubeck, A., Walker, R.J., Healy, D., Dobbs, M., and Holwell, D.A. (2017) Pore geometry as a control on rock strength. Earth and Planetary Science Letters, 457, 38-48. Buran, B.N., Strenzke, N., Neef, A., Gundelfinger, E.D., Moser, T., and Liberman, M.C. (2010) Onset coding is degraded in auditory nerve fibers from mutant mice lacking synaptic ribbons. The Journal of Neuroscience, 30, 7587-7597. Burgisser, A., Chevalier, L., Gardner, J. E., & Castro, J. M. (2017) The percolation threshold and permeability evolution of ascending magmas. Earth and Planetary Science Letters, 470, 37-47. Caricchi, L, Pommier, A., Pistone, M., Castro, J., Burgisser, A., and Perugini, D. (2011) Strain-induced magma degassing: insights from simple-shear experiments on bubble bearing melts. Bulletin of Volcanology, 73, 1245-1257. Carlson, W.D., and Gordon, C.L. (2004) Effects of matrix grain size on the kinetics of intergranular diffusion. Journal of Metamorphic Geology, 22, 733-742. Carr, S., Diggens, L., Groves, J., O’Sullivan, C., & Marsland, R. (2015) Visualising, segmenting and analysing heterogenous glacigenic sediments using 3D x-ray CT. EGU General Assembly Conference Abstracts. Carroll, K.C., McDonald, K., Marble, J., Russo, A.E., and Brusseau, M.L. (2016) The impact of transitions between two-fluid and three-fluid phases on fluid configuration and fluid-fluid interfacial area in porous media. Water Resources Research, 51, 7189-7201. Castro, J.M., Burgisser, A., Schipper, I., and Mancini, S. (2012) Mechanisms of bubble coalescence in silicic magmas. Bulletin of Volcanology, 74, 2339-2352. Chen, C. (2016) Investigation of Gas Transport in Shale Reservoirs Using Multiscale Modeling and Principal Component Analysis. SPE Annual Technical Conference and Exhibition, 28-30 September, Houston, Texas USA, 19 pgs. Chen, C., Hu, D., Westacott, D., & Loveless, D. (2013) Nanometer‐scale characterization of microscopic pores in shale kerogen by image analysis and pore‐scale modeling. Geochemistry, Geophysics, Geosystems, 14, 4066-4075. Chen, C., Lau, B. L., Gaillard, J. F., & Packman, A. I. (2009) Temporal evolution of pore geometry, fluid flow, and solute transport resulting from colloid deposition. Water resources research, 45. Chen, C., Packman, A. I., & Gaillard, J. F. (2008) Pore‐scale analysis of permeability reduction resulting from colloid deposition. Geophysical Research Letters, 35. Chen, C., Wang, Z., Majeti, D., Vrvilo, N., Warburton, T., Sarkar, V., and Li, G. (2016) Optimization of Lattice Boltzmann Simulation With Graphics-Processing-Unit Parallel Computing and the Application in Reservoir Characterization. SPE Journal, 21, 11 pgs. Clark, A.N., Lesher, C.E., Jacobsen, S.D., and Wang, Y. (2016) Anomalous density and elastic properties of basalt at high pressure: Reevaluating of the effect of melt fraction on seismic velocity in the Earth’s crust and upper mantle. Journal of Geophysical Research: Solid Earth, 121, 4232-4248. Cnudde, V., & Boone, M. N. (2013) High-resolution X-ray computed tomography in geosciences: A review of the current technology and applications. Earth-Science Reviews, 123, 1-17. Costanza-Robinson, M.S., Estabrook, B.D., and Fouhey, D.F. (2011) Representative elementary volume estimation for porosity, moisture saturation, and air-water interfacial areas in unsaturated porous media: data quality implications. Water Resources Research, 47, W07513. Costanza-Robinson, M. S., Harrold, K. H., & Lieb-Lappen, R. M. (2008) X-ray microtomography determination of air− water interfacial area− water saturation relationships in sandy porous media. Environmental science & technology, 42, 2949-2956. Coelho, G., Branquet, Y., Sizaret, S., Arbaret, L., Champallier, R., and Rozenbaum, O. (2015) Permeability of sheeted dykes beneath oceanic ridges: Strain experiments coupled with 3D numerical modeling of the Troodos Ophiolite, Cyprus. Tectonophysics, 644-645, 138-150. Degruyter, W., Bachmann, O., and Burgisser, A. (2009) Controls on magma permeability in the volcanic conduit during the climactic phase of the Kos Plateau Tuff eruption (Aegean Arc). Bulletin of Volcanology, 72, 63-74. Degruyter, Burgisser, A., Bachmann, O., and Malaspinas, O. (2010) Synchrotron X-ray microtomography and lattice Boltzmann simulations of gas flow through volcanic pumices. Geosphere, 6, 470-481. Desrues, J., Viggiani, G., & Besuelle, P. (2010) Advances in X-ray Tomography for Geomaterials. John Wiley & Sons. Dunkers, J. P., Leigh, S. D., Cicerone, M. T., Landis, F. A., Wang, F. W., & Tesk, J. A. (2005) NIST Development of Reference Material Scaffolds for Tissue Engineering. ASME 2005 International Mechanical Engineering Congress and Exposition 207-212. Dunkers, J.P., Leigh, S.D., Dean, D., Cooke, M.N., Ketcham, R.A., and Cicerone, M.T. (2007) Methodology for evaluating candidate geometric reference scaffolds. Journal of Testing and Evaluation, 35, 1-8. Dunkers, J.P., Tesk, J.A., Dean, D., Cooke, M.N., Ketcham, R.A., and Cicerone, M.T. (2005) Quantitative analysis of a candidate porosity reference scaffold: Type 1. 2005 Summer ASME Bioengineering Conference, June 22-26, Vail, CO.
Dyess, J. E., Hansen, V. L., and Goscinak, C. (2015) Constrains on vorticity and non-coaxial shear direction in Neoarchean L-S tectonites, an example from northern Minnesota, USA. Precambrian Research, 256, 189-200. Elangovan, P., Hezel, D. C., Howard, L., Armstrong, R., & Abel, R. L. (2012) PhaseQuant: A tool for quantifying tomographic data sets of geological specimens. Computers & geosciences, 48, 323-329. Falvard, S., and Paris, R. (2016) X-ray tomography of tsunami deposits: Towards a new depositional model of tsunami deposits. Sedimentology, 64, 453-477. Fiege, A., and Cichy, S.B. (2015) Experimental constrants on bubble formation and growth during magma ascent: A review. American Mineralogist, 100-2426-2442. Field, M., Gernon, T. M., Mock, A., Walters, A., Sparks, R. S. J., & Jerram, D. A. (2009) Variations of olivine abundance and grain size in the Snap Lake kimberlite intrusion, Northwest Territories, Canada: A possible proxy for diamonds. Lithos, 112, 23-35. Friedrich, J.M. (2014) A classroom-based distributed workflow initiative for the early involvement of undergraduate students in scientific research. Journal of Science Education and Technology, 35, 1-8. Friedrich, J. M. (2008) Quantitative methods for three-dimensional comparison and petrographic description of chondrites. Computers & Geosciences, 34(12), 1926-1935. Friedrich, J.M., and Rivers, M.L. (2013) Three-dimensional imaging of ordinary chondrite microporosity at 2.6 micrometer resolution. Geochimica et Cosmochimica Acta, 116, 63-70. Friedrich, J.M., Macke, R.J., Wignarajah, D.P., Rivers, M.L., Britt, D.T., and Ebel, D.S. (2008) Pore size distribution in an uncompacted equilibrated ordinary chondrite. Planetary and Space Science, 56, 895-900. Friedrich, J.M., Wignarajah, D.P., Chaudhary, S., Rivers, M.L., Nehru, C.E., and Ebel, D.S. (2008) Three-dimensional petrography of metal phases in equilibrated L chondrites—: effects of shock loading and dynamic compaction. Earth and Planetary Science Letters, 275, 172-180. Friedrich, J.M., Wignarajah, D.P., Chaudhary, S., Rivers, M.L., Nehru, C.E., and Ebel, D.S. (2008) Dynamic compaction of asteroids: impact-induced preferred 3D orientation of metal grains in L chondrites. Asteroids, Comets, Meteors 2008, Baltimore, Maryland. Friedrich, J.M., Troiano, J., Rumble III, D., and Rivers, M.L. (2011) Compositional studies of four low-FeO ordinary chondrites: is a new chondritic meteorite parent body necessary? 42nd Lunar and Planetary Science Conference, Abstract 1885, Houston, Texas. Friedrich, J.M., Rivers, M.L., Perlowitz, M.A., Meinhart, Z., and Ramirez, V.V. (2012) Characterization of particle size standard NIST 1019b with synchrotron X-ray microtomography and digital data extraction. Particle & Particle Systems Characterization, 29, 35-42. Friedrich, J.M., Ruzicka, A., Rivers, M.L., Ebel, D.S., Thostenson, J.O., and Rudolph, R.A. (2013) Metal veins in the Kernouvé (H6 S1) chondrite: evidence for pre- or syn-metamorphic shear deformation. Geochimica et Cosmochimica Acta, 116, 71-83. Fu, Y., Xie, H., Deng, B., Du, G., Chen, R., and Xiao, T. (2014) Three-dimensional structure of polystyrene colloidal crystal by synchrotron radiation X-ray phase-contrast computed tomography. Materials Science & Processing, 115, 781-790. Fu, Y., Xie, H., Deng, B., Du, G., Chen, R., and Xiao, T. (2015) Synchrotron radiation phase-contrast computed tomography study on self-assembly of polystyrene colloidal crystals via solvent evaporation. Colloid Journal, 77, 795-801. Fu, Y., Xie, H., Deng, B., Du, G., and Xiao, T. (2017) 3D investigation on polystyrene colloidal crystals by floatage self-assembly with mixed solvent via synchrotron radiation x-ray phase-contrast computed tomography. Radiation Physics and Chemistry, 135, 49-54. Gaidies, F., Petley-Ragan, A., Chakraborty, S., Dasgupta, S., and Jones, P. (2015) Constraining the conditions of Barrovian metamorphism in Sikkim, India: P-T-t paths of garnet crystallization in the Lesser Himalayan Belt. Journal of Metamorphic Geology, 33, 23-44. Gardner, J.E., and Ketcham, R.A. (2011) Bubble nucleation in rhyolite and dacite melts: temperature dependence of surface tension. Contributions to Mineralogy and Petrology, 162, 929-943. Gardner, J. E., Befus, K. S., Watkins, J. M., & Clow, T. (2016) Nucleation rates of spherulites in natural rhyolitic lava. American Mineralogist, 101, 2367-2576. Garland, S., Ramisch, M., & Hirth, T. (2015) Effect of magnetic field geometry on blob structure and dynamics in TJ-K. 42nd EPS Conference on Plasma Physics, Lisbon, Portugal. George, F.R., and Gaidies, F. (2017) Characterisation of a garnet population from the Sikkim Himalaya: Insights into the rates and mechanisms of porphyroblast crystallisation. Contributions to Mineralogy and Petrology, 172, 57. Giachetti, T., Burgisser, A., Arbaret, L., Druitt, T.H., and Kelfoun, K. (2011) Quantitative textural analysis of Vulcanian pyroclasts (Montserrat) using multi-scale X-ray computed microtomography: comparison with results from 2D image analysis. Bulletin of Volcanology, 73, 1295-1309. Gomez Barreiro, J., Voltolini, M., Martinez-Catalan, J. R., Benitez-Perez, J. M., Diez-fernandez, R., Wenk, H. R., … & Mancini, L. (2014) Quantitative fabric analysis of eclogite facies mylonites: texture and microtomography. AGU Fall Meeting Abstracts. Gopalakrishnan, K., Ceylan, H., and Inanc, F. (2007) Using X-ray computed tomography to study paving materials. Construction Materials, 160, 15-23. Gopalakrishnan, K., Ceylan, H., Inanc, F., Gray, J., & Heitzman, M. (2006) Characterization of asphalt materials using X-ray high-resolution computed tomography imaging techniques. Airfield and Highway Pavement: Meeting Today’s Challenges with Emerging Technologies, 437-454. Gostic, R.C. (2010) Characterization of plutonium particles originating from the BOMARC accident – 1960. PhD dissertation, Chemistry, The University of Nevada, Las Vegas. Griffin, K., & Raskin, C. (2016) Scalable rendering of large SPH simulations using an RK-enhanced interpolation scheme on constrained datasets. Large Data Analysis and Visualization (LDAV), 2016 IEEE 6th Symposium, 95-96. Gualda, G.A.R. (2006) Crystal size distributions derived from 3D datasets: Sample size versus uncertainties. Journal of Petrology, 47, 1245-1254. Gualda, G. A., & Anderson, A. T. (2004) Pre-eruptive bubbles in the Bishop magma? An x-ray tomography study of vesicle size distributions. AGU Fall Meeting Abstracts. Gualda, G. A., Miller, C. F., Anderson Jr, A. T., & Rivers, M. (2005) BUBBLE ACCUMULATION AND ORIGIN OF A VESICULAR MICROGRANITE. 2005 Salt Lake City Annual Meeting. Gualda, G.A.R., and Rivers, M. (2006) Quantitative 3D petrography using X-ray tomography: Application to Bishop Tuff pumice clasts. Journal of Volcanology and Geothermal Research, 154, 48-62. Gualda, G.A.R., Pamukcu, A.S., Claiborne, L.L., and Rivers, M.L. (2010) Quantitative 3D petrography using X-ray tomography 3: Documenting accessory phases with differential absorption tomography. Geosphere, 6, 782-792. Ham, K., & Willson, C. S. (2005) The application of monochromatic energies to investigate multiphase porous media systems using synchrotron X-ray tomography. Site Characterization and Modeling, 1-12. Hanna, R.D, Ketcham, R.A., Zolensky, M., and Behr, W.M. (2015) Impact-induced brittle deformation, porosity loss, and aqueous alteration in the Murchison CM chondrite. Geochimica et Cosmochimica Acta, 171, 256-282. Hanna, R. A., & Hamilton, V. E. (2012) INCLUSION FOLIATION IN MURCHISON AS REVEALED BY HIGH RESOLUTION X-RAY CT. RD. Hanna, R.D., and Ketcham, R.A. (2018) Evidence for accretion of fine-grained rims in a turbulent nebula for CM Murchison. Earth and Planetary Science Letters, 481, 201-211. Hardie, R.A., Schneider, D.A., and Garver, J.I. (2018) (U-Th)/He thermochronology of the Ottawa Embayment, Eastern Canada: The temperature-time history of an ancient, intracratonic rift basin. The Journal of Geology, 125, 659-680. Harlan, S., Jenniskens, P., Zolensky, M.E., Yin, Q., Verosub, K.L., Rowland, D.J., Sanborn, M., Huyskens, M., Creager, E.R., and Jull, A.J.T. (2016) Meteorites found on Misfits Flat dry lake, Nevada. Meteoritics & Planetary Science, 51, 757-772. Higgins, M. D. (2006) Quantitative textural measurements in igneous and metamorphic petrology. Cambridge University Press. Hildebrandt, J. (2017) 3-D fracture tracing for X-ray computed tomography data (Doctoral dissertation). Hirsch, D.M. (2011) Reduce3D: a tool for three-dimensional spatial statistical analysis of crystals. Geosphere, 7, 724-732. Horton, F., Farley, K., and Jackson, M. (2019) Helium distributions in ocean island basalt olivines revealed by X-ray computed tomography and single-grain crushing experiments. Geochimica et Cosmochimica Acta, 244, 467-477. Huddlestone-Holmes, C.R., and Ketcham, R.A. (2010) An X-ray computed tomography study of inclusion trail orientations in multiple porphyroblasts from a single sample. Tectonophysics, 480, 305-320. Iassonov, P., Gebrenegus, T., & Tuller, M. (2009) Segmentation of X‐ray computed tomography images of porous materials: A crucial step for characterization and quantitative analysis of pore structures. Water Resources Research, 45. Jerram, D.A., and Higgins, M.D. (2007) 3D analysis of rock textures: quantifying igneous microstructures. Elements, 3, 239-245. Jerram, D.A., Mock, A., Davis, G.R., Field, M., and Brown, R.J. (2009) 3D crystal size distributions: a case study on quantifying olivine populations in kimberlites. Lithos, 112, 223-235. Karahan, G., Erol, A.S., and Erşahin, S. (2018) Advances in soil structure diagnoses. Anatolian Journal of Forest Research, 4, 36-43. Ketcham, R. A., and Carlson, W. D. (2000) Quantitative characterization of asphalt concretes using high-resolution x-ray computed tomography (CT). NCHRP-IDEA Program Project Final Rep. No. NCHRP-IDEA Project, 64. Ketcham, R., A., and Hildebrandt, J. (2014) Characterizing, measuring, and utilizing the resolution of CT imagery for improved quantification of fine-scale features. Nuclear Instruments and Methods in Physics Research Section B: Beam Interaction with Materials and Atoms, 324, 80-87. Ketcham, R.A., and Shashidhar, N. (2001) Quantitative analysis of 3-D images of asphalt concrete, Paper No. 01-0321. Transportation Research Board 80th Annual Meeting. Transportation Research Board, Washington, D.C.
Krzesińska, A., Gattacceca, J., Friedrich, J.M., and Rochette, P. (2015) Impact-related noncoaxial deformation in the Pułtusk H chondrite inferred from petrofabric analysis. Meteoritics & Planetary Science, 50, 401-417. Kyle, J. R., and Ketcham, R. A. (2015) Application of high resolution X-ray computed tomography to mineral deposit origin, evaluation, and processing. Ore Geology Reviews, 65, 821-839. Kyle, J.R., Mote, A.S., and Ketcham, R.A. (2008) High resolution X-ray computed tomography studies of Grasberg porphyry Cu-Au ores, Papua, Indonesia. Mineralium Deposita, 43, 519-532. Laine, Pia, Anna-Maija Lampi, Marko Peura, Jarno Kansikas, Kirsi Mikkonen, Stefan Willför, Maija Tenkanen, and Kirsi Jouppila. (2009) Comparison of microencapsulation properties of spruce galactoglucomannans and Arabic gum using a model hydrophobic core compound. Journal of agricultural and food chemistry, 58, 981-989. LaRue, A. (2012) Bubble size distributions and magma-water interaction at Eyjafjallajökull volcano, Iceland (Doctoral dissertation, McGill University, Montreal). LaRue, A., Baker, D. R., Polacci, M., Allard, P., & Sodini, N. (2013) Can vesicle size distributions assess eruption intensity during volcanic activity?. Solid Earth, 4(2), 373. Lindgren, P., Hanna, R.D., Dobson, K.J., Tomkinson, T., and Lee, M.R. (2015) The paradox between low shock-stage and evidence for compaction in CM carbonaceous chondrites explained by multiple low-intensity impacts. Geochimica et Cosmochimica Acta, 148, 159-178. Liu, J., Pereira, G.G., Liu, Q., and Regenauer-Lieb, K. (2016) Computational challenges in the analyses of petrophysics using microtomography and upscaling: A review. Computers & Geosciences, 89, 107-117. Lee, R. J., Suh, H., Lee, K. J., Lim, S., Kim, Y., Kim, S., & Choi, J. (2007) A magnetic resonance-based seed localization method for I-125 prostate implants. Journal of Korean medical science, 22, 129-S133. Lesher, C. E., Wang, Y., Gaudio, S., Clark, A., Nishiyama, N., & Rivers, M. (2009) Volumetric properties of magnesium silicate glasses and supercooled liquid at high pressure by X-ray microtomography. Physics of the Earth and Planetary Interiors, 174, 292-301. Loesche, C., Wurm, G., Teiser, J., Friedrich, J. M., & Bischoff, A. (2013) Photophoretic strength on chondrules. 1. Modeling. The Astrophysical Journal, 778, 101. Mancini, S., Forestier-Coste, L., Burgisser, A., James, F., and Castro, J. (2016) An expansion-coalescence model to track gas bubble populations in magmas. Journal of Volcanology and Geothermal Research, 313, 44-58. Marinoni, N., Voltolini, M., Mancini, L., and Cella, F. (2012) Influence of aggregate mineralogy on alkali-silica reaction studied by X-ray powder diffraction and imaging techniques. Journal of Materials Science, 47, 2845-2855. May, S.M., Falvard, S., Norporth, M., Pint, A., Brill, D., Engel, M., Scheffers, A., Dierick, M., Paris, R., Squire, P., and Brückner, H. (2016) A mid-Holocene candidate tsunami deposit from the NW Cape (Western Australia). Sedimentary Geology, 332, 40-50. McDonald, K., Carroll, K.C., and Brusseau, M.L. (2016) Comparison of fluid-fluid interfacial areas measured with X-ray microtomography and interfacial partitioning tracer tests for the same samples. Water Resources Research, 52, 5393-5399. Mote, A.S., Ketcham, R.A., and Watson, W.P. (2006) Extracting particle orientations from three-dimensional datasets using BLOB3D, in Desrues, J., Viggiani, G., and Besuelle, P., eds., Advances in X-ray tomography for Geomaterials, ISTE, London, 407-413. Mote, A. S., Ketcham, R. A., Kyle, J. R., Wawrzyniec, T. F., & Melker, M. D. (2004). High-resolution X-Ray Computed Tomography Applied to Mineralized Shear Zones in the Cripple Creek Diatreme, Colorado. Nachlas, W.O., Whitney, D.L., Teyssier, C., Bagley, B., and Mulch, A. (2014) Titanium concentration in quartz as a record of multiple deformation mechanism in an extensional shear zone. Journal of Geochemistry, Geophysics, Geosystems, 15, 1374-1397. Narter, M.E. (2012) Characterizing non-wetting fluid in natural porous media using synchrotron X-ray microtomography. PhD dissertation, Soil, Water, and Environmental Science, University of Arizona, 172 p.
Narter, M., & Brusseau, M. L. (2010) Comparison of interfacial partitioning tracer test and high‐resolution microtomography measurements of fluid‐fluid interfacial areas for an ideal porous medium. Water resources research, 46. Noennig, G. (2016) Analysis of Stromatolite Reservoir Potential using Computed Tomography (Doctoral dissertation, Gustavus Adolphus College). Ou, L. (2013) Dual pore shape modeling using experimental elastic and electrical data and pore-scale imaging results. Colorado School of Mines. Packman, A.I., Marion, A., Zaramella, M., Chen, C., Gaillard, J.-F., and Keane, D.T. (2006) Development of layered sediment structure and its effects on pore water transport and hyporheic exchange, in Kronvang, B., Faganeli, J., and Ogrinc, N., eds., The Interactions Between Sediments and Water, Springer, New York, 69-78. Pamukcu, A.S. (2010) The evolution of the peach spring tuff magmatic system as revealed by accessory mineral textures and compositions. MS Thesis, Earth and Environmental Science, Vanderbilt University, 304 p.
Pamukcu, A. (2006) Phenocryst Size Distributions of Late-erupted Bishop Tuff. 2006 Philadelphia Annual Meeting. Pamukcu, A., Anderson, A. T., & Gualda, G. (2006) Crystal sinking and bubble rising in late-erupted Bishop Tuff: A study of pumice clasts by x-ray tomography and physical separation. AGU Fall Meeting Abstracts. Pamukcu, A.S., and Gualda, G.A.R. (2010) Quantitative 3D petrography using X-ray tomography 2: Combining information at various resolutions. Geosphere, 6, 775-781. Pamukcu, A.S., Gualda, G.A.R., and Anderson, A.T. Jr. (2012) Crystallization stages of the Bishop Tuff magma body recorded in crystal textures in pumice clasts. Journal of Petrology, 53, 589-609. Pamukcu, A. S., Gualda, G. A., & Rivers, M. L. (2013) Quantitative 3D petrography using X-ray tomography 4: Assessing glass inclusion textures with propagation phase-contrast tomography. Geosphere, 9, 1704-1713. Peng, S., Hu, Q., Dultz, S., & Zhang, M. (2012) Using X-ray computed tomography in pore structure characterization for a Berea sandstone: Resolution effect. Journal of hydrology, 472, 254-261. Peng, D., Huang, T., and Meng, C. (2012) Study on imaging arsenic aggregates in porous media by X-ray difference micro-tomography. Advances in Materials Research, 356-360, 2362-2366. Petley-Ragan, A., Gaidies, F., and Pattison, D.R.M. (2016) A statistical analysis of the distribution of cordierite and biotite in hornfels from the Bugaboo contact aureole: implications for the kinetics of porphyroblast crystallization. Journal of Metamorphic Geology, 34, 85-101. Polacci, M., Baker, D.R., Mancini, L., Tromba, G., and Zanini, F. (2006) Three-dimensional investigation of volcanic textures by X-ray microtomography and implications for conduit processes. Geophysical Research Letters, 33, L13312. 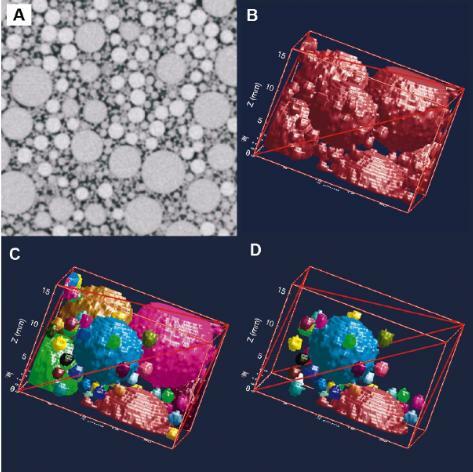 Polacci, M., Baker, D., Mancini, L., Tromba, G., & Zanini, F. (2005) Non Destructive High-Resolution 3D Investigation of Vesicle Textures in Pumice and Scoria by Synchrotron X-Ray Computed Microtomography. AGU Fall Meeting Abstracts. Polacci, M., Baker, D.R., La Rue, A., Mancini, L., and Allard, P. (2012) Degassing behaviour of vesiculated basaltic magmas: an example from Ambrym volcano, Vanuatu Arc. Journal of Volcanology and Geothermal Research, 233-24, 55-64. Porter, M.L. (2008) Investigating capillary pressure and interfacial area for multiphase flow in porous media using pore-scale imaging and Lattice-Boltzmann modeling. PhD dissertation, Water Resources Engineering, Oregon State University, 127 p.
Porter, M.L., and Wildenschild, D. (2009) Image analysis algorithms for estimating porous media multiphase flow variables from computed microtomography data: a validation study. Computational Geosciences, 14, 15-30. Rivers, M. L., & Gualda, G. A. (2009) ‘tomo_display’and’vol_tools’: IDL VM Packages for Tomography Data Reconstruction, Processing, and Visualization. AGU Spring Meeting Abstracts. Roberts, K. L. (2009) Pore-Scale Analysis of DNAPL Dissolution and Biomass Distribution. Robert, G., Allard, E., Jeff, L., Rivers, M., & Baker, D. R. (2004) Three-Dimensional Bubble Size Distributions From Growth at High Water Supersaturation: X-ray Microtomographic Investigations. AGU Spring Meeting Abstracts. Robert, G., Baker, D.R., Rivers, M.L., Allard, E., and Larocque, J. (2004) Comparison of the bubble size distribution in silicate foams using 2-dimensional images and 3-dimensional x-ray microtomography, in Bonse, U., ed., Developments in X-Ray Tomography IV, Proceedings of SPIE, 5535, Bellingham, WA, 505-513. Rowe, T.B., Eiting, T.P., Macrini, T.E., and Ketcham, R.A. (2005) Organization of the olfactory and respiratory skeleton in the nose of the gray short-tailed opossum Monodelphis domestica. Journal of Mammalian Evolution, 12, 303-336. Rowe, T.B., Luo, Z., Ketcham, R.A., Maisano, J.A., and Colbert, M.W. (2016) X-ray computed tomography datasets for forensic analysis of vertebrate fossils. Scientific Data, 3. Ruzicka, A., Brown, R., Friedrich, J., Hutson, M., Huge, R., and Rivers, M. (2015) Shock-induced mobilization of metal and sulfide in planetesimals: Evidence from the Buck Mountains 005 (L6 S4) dike-bearing chondrite. American Mineralogist, 100, 2725-2738. Saadeh, S., & Masad, E. (2010) On the relationship of microstructure properties of asphalt mixtures to their constitutive behaviour. International Journal of Materials and Structural Integrity, 4, 186-214. Sasso, M.R., Macke, R.J., Boesenberg, J.S., Britt, D.T., Rivers, M.L., Ebel, D.S., and Friedrich, J.M. (2009) Incompletely compacted equilibrated ordinary chondrites. Meteoritics and Planetary Science, 44, 1743-1753. Sasso, M.R., Macke, R.J., Britt, D.T., Rivers, M.L., Ebel, D.S., and Friedrich, J.M. (2009) Physical properties of incompletely compacted equilibrated ordinary chondrites: implications for asteroidal structure and impact processing. 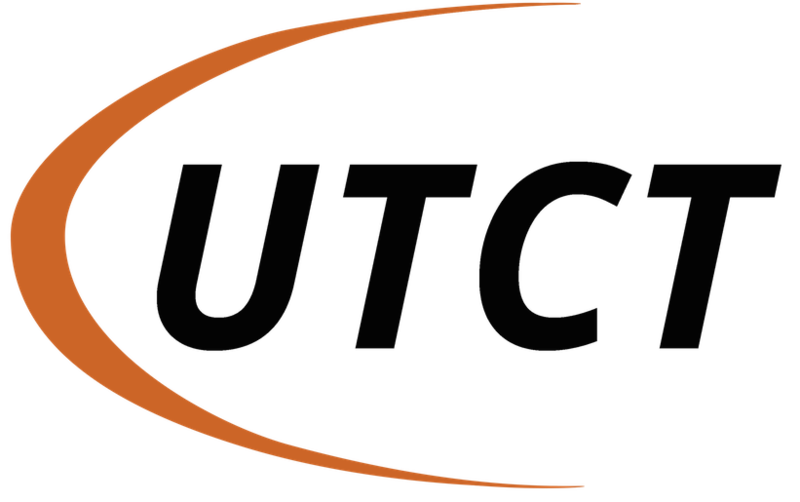 40th Lunar and Planetary Science Conference, The Woodlands, Texas. Schipper, C. I., White, J. D., Nichols, A. R., Burgisser, A., Hellebrand, E., & Murtagh, R. M. (2012) Incipient melt segregation in subaqueous pyroclasts. Geology, 40, 355-358. Schnaar, G., and Brusseau, M.L. (2005) Pore-scale characterization of organic immiscible-liquid morphology in natural porous media using synchrotron X-ray microtomography. Environmental Science Technology, 39, 8403-8410. Schnaar, G., and Brusseau, M.L. (2006) Characterizing pore-scale configuration of organic immiscible liquid in multiphase systems with synchrotron X-ray microtomography. Vadose Zone Journal, 5, 641-648. Schnaar, G., and Brusseau, M.L. (2006) Characterizing pore-scale dissolution of organic immiscible liquid in natural porous media using synchrotron X-ray microtomography. Environmental Science Technology, 40, 6622-6629. Schopa, A., Floess, D., de Saint Blanquat, M., Annen, C., and Launeau, P. (2015) The relation between magnetite and silicate fabric in granitoids of the Adamello Batholith. Tectonophysics, 642, 1-15. Shields, J. K., Mader, H. M., Pistone, M., Caricchi, L., Floess, D., and Putlitz, B. (2014) Strain-induced outgassing of three-phase magmas during simple shear. Journal of Geophysical Research, 119, 6936-6957. Shields, J. K., Mader, H. M., Caricchi, L., Tuffen, H., Mueller, S., Pistone, M., and Baumgartner, L. (2014) Unravelling textural heterogeneity in obsidian: Shear-induced outgassing in the Rocche Rosse flow. Journal of Volcanology and Geothermal Research, 310, 137-158. Som, S.M., Hagadorn, J.W., Thelen, W.A., Gillespie, A.R., Catling, D.C., and Buick, R. (2013) Quantitative discrimination between geological materials with variable density contrast by high resolution X-ray computed tomography: an example using amygdule size-distribution in ancient lava flows. Computers & Geosciences, 54, 231-238. Som, S. M., Hagadorn, J., Thelen, W., Gillespie, A., Catling, D. C., & Buick, R. (2011) High-resolution X-ray imaging of amygdules for measuring bubble size distribution in ancient lava flows. AGU Fall Meeting Abstract. Som, S.M., Buick, R., Hagadorn, J.W., Blake, T.S., Perreault, J.M., Harnmeijer, J.P., and Catling, D.C. (2016) Earth’s Air pressure 2.7 billion years ago constrained to less than half of modern levels. Nature Geoscience, 9, 448-451. Spinsby, J., Friedrich, H., & Buseck, P. R. (2008) Volume and surface-area measurements using tomography, with an example from the Brenham pallasite meteorite. Computers & Geosciences, 34, 1-7. Subroy, V., Gimenez, D., Qin, M., Krogmann, U., Strum, P.F., and Miskewitz, R.J. (2014) Hydraulic properties of coarsely and finely ground woodchips. Journal of Hydrology, 517, 201-212. Szramek, L. A. (2012) Three Dimensional Analysis of Mafic Pumice from the 1999 sub-Plinian eruption of Shishaldin Volcano, Alaska. AGU Fall Meeting Abstracts. Thissen, C.J., and Brandon, M.T. (2015) An autocorrelation method for three-dimensional strain analysis. Journal of Structural Geology, 81, 135-154. Tremblay, M.M., Shuster, D.L., Balco, G., and Cassata, W.S. (2017) Neon diffusion kinetics and implications for cosmogenic neon paleothermometry in feldspars. Geochimica et Cosmochimica Acta, 205, 14-30. Troiano, J., Rumble, D., III, Rivers, M.L., and Friedrich, J.M. (2011) Compositions of three low-FeO ordinary chondrites: indications of a common origin with the H chondrites. Geochimica et Cosmochimica Acta, 75, 6511-6519. Turk, J. K., and Graham, R. C. (2014) Analysis of vesicular porosity in soils using high resolution X-ray computed tomography. Soil Science Society of America Journal, 78, 868-880. Uchida, T., Wang, Y., Westferro, F., Rivers, M.L., Gebhardt, J., and Sutton, S.R. (2007) X-ray microtomography under high pressure, in Ohtani, E., ed., Advances in High-pressure Mineralogy, Geological Society of America, Washington, DC, 227-238. Uchida, T., Wang, Y., Westferro, F., Rivers, M. L., Gebhardt, J., & Sutton, S. R. (2007) X-ray microtomography under high pressure. Geological Society of America Special Papers, 421, 227-237. Voltolini, M., Marinoni, N., and Mancini, L. (2011) Synchrotron X-ray computed microtomography investigation of a mortar affected by alkali-silica reaction: a quantitative characterization of its microstructural features. Journal of Materials Science, 46, 6633-6641. Voltolini, M., Zandomeneghi, D., Mancini, L., and Polacci, M. (2011) Texture analysis of volcanic rock samples: Quantitative study of crystals and vesicles shape preferred orientation from X-ray microtomography data. Journal of Volcanology and Geothermal Research, 202, 83-95. Voltolini, M., Kwon, T.-H., and Ajo-Franklin, J. (2017) Visualization and prediction of supercritical CO2 distribution in sandstones during drainage: An in situ synchrotron X-ray micro-computed tomography study. International Journal of Greenhouse Gas Control, 66, 230-245. Vonlanthen, P., Rausch, J., Ketcham, R.A., Putiltz, B., Baumgartner, L.P., and Grobéty, B. (2015) High-resolution 3D analyses of the shape and internal constituents of small volcanic ash particles: the contribution of SEM micro-computed tomography (SEM micro-CT). Journal of Volcanology and Geothermal Research, 293, 1-12. Wang, Y., Lesher, C., Fiquet, G., Rivers, M.L., Nishiyama, N., Siebert, J., Roberts, J., Morard, G, Gaudio, S., Clark, A., Watson, H., Menguy, N., and Guyot, F. (2011) In situ high-pressure and high-temperature X-ray microtomographic imaging during large deformation: a new technique for studying mechanical behavior of multiphase composites. Geosphere, 7, 40-53. Whitney, D.L., Goergen, E.T., Ketcham, R.A., and Kunze, K. (2008) Formation of garnet polycrystals during metamorphic crystallization. Journal of Metamorphic Geology, 26, 365-383. Willson, C. S., Stacey, R. W., Ham, K., & Thompson, K. E. (2004) Investigating the correlation between residual nonwetting phase liquids and pore-scale geometry and topology using synchrotron x-ray tomography. Developments in X-Ray Tomography IV, International Society for Optics and Photonics, 5535, 101-112. Wittmann, A., Friedrich, J.M., Troiano, J., Macke, R.J., Britt, D.T., Swindle, T.D., Weirich, J.R., Rumble, D. III, Lasue, J., and Kring, D.A. (2011) H /L chondrite LaPaz Icefield 031047 – A feather of Icarus? Geochimica et Cosmochimica Acta, 75, 6140-6159. Wright, K. A., Pamukcu, A. S., & Gualda, G. A. (2013) Supereruption Time Scales: X-Ray Tomographic Analyses of Oruanui Pumice from the Taupo Volcanic Zone. AGU Fall Meeting Abstracts, 2759. Yang, P., and Ehajjar, R. (2014) Porosity content evaluation in carbon-fiber/epoxy composites using X-ray computed tomography. Polymer-Plastics Technology and Engineering, 53, 217-222. Yuan, R., Singh, S. S., Chawla, N., & Oswald, J. (2016) Geometry segmentation of voxelized representations of heterogeneous microstructures using betweenness centrality. Materials Characterization, 118, 553-559. Yu, T., Wang, Y., and Rivers, M.L. (2016) Imaging in 3D under pressure: a decade of high pressure X-ray microtomography development at GSECARS. Progress in Earth and Planetary Science, 3:17. Yuan, Q. (2007) Experimental and modeling studies of contaminant transport in capped sediments during gas bubble ebullition. PhD dissertation, Chemical Engineering, Louisiana State University, 207 p.
Yuan, R., Singh, S.S., Chawla, N., and Oswald, J. (2016) Geometry segmentation of voxelized representations of heterogeneous microstructures using betweenness centrality. Materials Characterization, 118, 553-559. Yuan, Q., Valsaraj, K. T., Reible, D. D., & Willson, C. S. (2007) A laboratory study of sediment and contaminant release during gas ebullition. Journal of the Air & Waste Management Association, 57, 1103-1111. Yulong, P. D. H. T. H. (2012) Application of XDMT in three-dimensional visualization of arsenic aggregates in porous media. Environmental Chemistry, 7, 023. Zolensky, M., Herrin, J., Mikouchi, T., Ohsumi, K., Friedrich, J., Steele, A., Rumble, D., Fries, M., Sandford, S., Milam, S., Hagiya, K., Takeda, H., Satake, W., Kurihara, T., Colbert, M., Hanna, R., Maisano, J., Ketcham, Goodrich, C., Le, L., Robinson, G., Martinez, J., Ross, K., Jenniskens, P., and Shaddad, M.H. (2010) Mineralogy and petrography of the Almahata Sitta ureilite. Meteoritics & Planetary Science, 45, 1618-1637. Wang, Y., Uchida, T., Westferro, F., Rivers, M.L., Nishiyama, N., Gebhardt, J., Lesher, C.E., and Sutton, S.R. (2005) High-pressure x-ray tomography microscope: synchrotron computed microtomography at high pressure and temperature. Review of Scientific Instruments, 76, 073709. Zucali, M., Voltolini, M., Ouladdiaf, B., Mancini, L., and Chateigner, D. (2014) The 3D quantitative lattice and shape preferred orientation of a mylonitised metagranite from Monte Rosa (Western Alps): combining neutron diffraction texture analysis and synchrotron X-ray microtomography. Journal of Structural Geology, 63, 91-105.